Fauna Marin was established in the early 1990’s. Based out of Holzgerlingen, Germany, our company manufactures foods, supplements, and aquaculture material for saltwater aquariums. 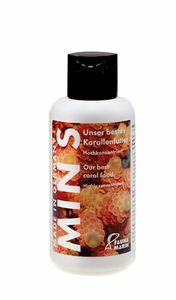 Holzgerlingen is also home to our coral facility, Fauna Marin Corals. Here, we conduct our own studies on various types of coral species. Our findings are then used to further develop our existing products and bring new products to market. Since the beginning, we have developed cutting edge methodologies and products that allow hobbyists of all skill levels to provide their aquatic animals the nutrition they need. 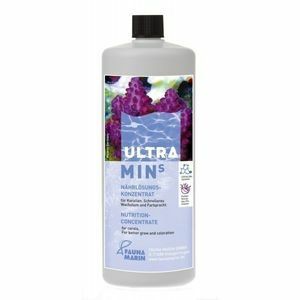 Our products have made it possible to successfully maintain and grow aquatic animals once thought to be impossible to keep. Through continued research and experience, we are able to continue our mission and develop products that deliver outstanding results. Here at Fauna Marin, our philosophy is simple: develop effective products by using only the highest quality natural ingredients available. Corals are delicate animals that each have their own set of nutritional and environmental needs. As such, we take these needs into account and develop products that supply these animals with the key ingredients needed to not only survive, but thrive! Fauna Marin products are backed by years of research and study. Owner and founder, Claude Schuhmacher applies his passion for saltwater aquariums to produce high-quality products that deliver outstanding results. Combined with on-going research at our coral farm and our newly established Seawater Research Lab, we test every batch to ensure that every product meets our high-quality standards. Our products are derived from natural sources and never include any fillers or harmful toxins. When it comes to the health of your aquarium. Trust in the quality of Fauna Marin.